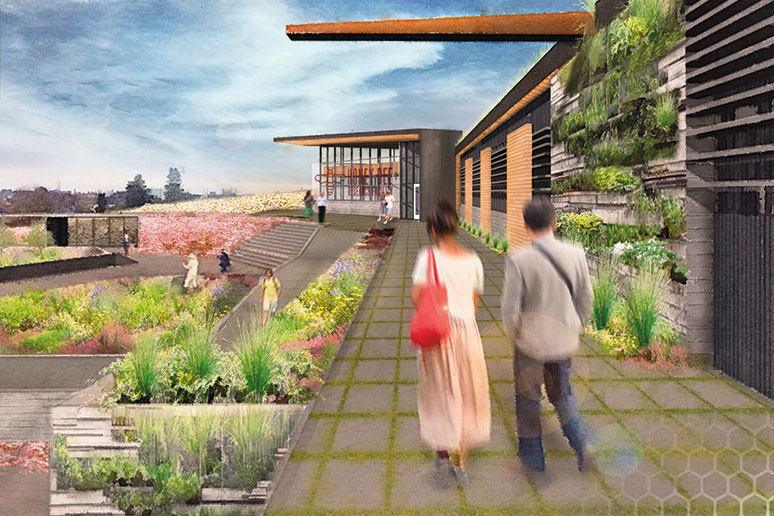 Images shows plans for WSU pollinator research center. PULLMAN, Wash. — The world’s food supply depends in large part on pollinators including the beloved honey bee. Honey bees are responsible for pollinating hundreds of our favorite foods including apples, cherries, and blueberries. The future of vital seed crops like cabbage, onion, broccoli and carrots are reliant on the mighty honey bee as well. Ken Christianson said he and Sue heard about the program when they took a tour of the current facilities, spread around three different locations up to half a mile apart. 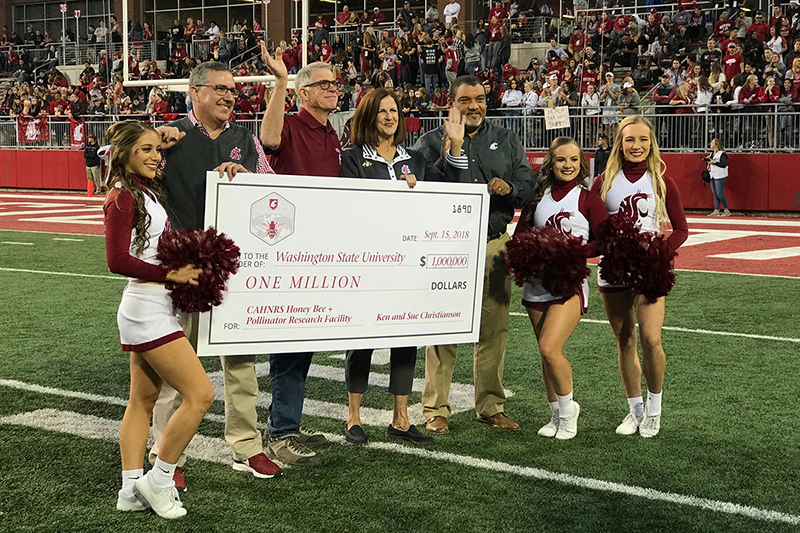 WSU President Kirk Schulz, left, and CAHNRS Dean André-Denis Wright, right, accept a $1 million donation from WSU alums Ken and Sue Christianson, center, at halftime of the WSU-Eastern Washington University football game on Sept. 15. Both Ken and Sue are WSU alumni, he with an agronomy degree and she with a food science degree. The new Research Facility is still in the fundraising phase, with the goal of raising $15 million to complete the planned 15,330 square foot center. The plans include demonstration gardens and a rain garden, so visitors can watch WSU bees and the researchers working. To learn more, visit the WSU honey bee and pollinator program website.